← Was geschieht in der Ukraine und mit der Ukraine? During the last few days, Russian-terrorist forces have continued active operations in the area of the Debaltseve bridgehead. From attempts to create a ‘boiler’ by cutting supply lines from the ‘neck’ of the bridgehead, the enemy went on to tactics of ‘displacing’ Ukrainian troops from the area. 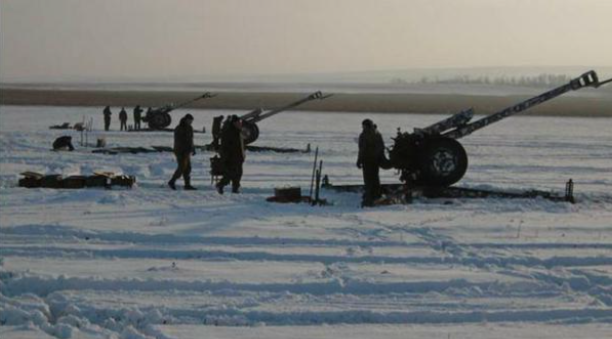 A blow was struck by two converging lines through Chornukhyne and Vuhlehirsk directly on Debaltseve to force Ukrainian units located in the city and south of it, to move to the north. At the moment, the actions of at least 4 tactical groups of terrorists and Russian mercenaries, who are trying to communicate with each other and organize a coordinated offensive, are being observed. In this case, two task forces act in the Vuhlehirsk direction, one – in the Chornukhyne direction, and from the frontal direction of Nikishyne another tactical group of insurgents performs frontal ‘pressure.’ All enemy engagement in active events in the vicinity of the Debaltseve springboard is in the order of about 3500 people, 35 tanks, about 90 armored fighting vehicles (AFVs). The actions of these 4 groups of Russian tactical-terrorist troops support 3 artillery groups (up to 60 guns cannon artillery and MLRS about 32 units). 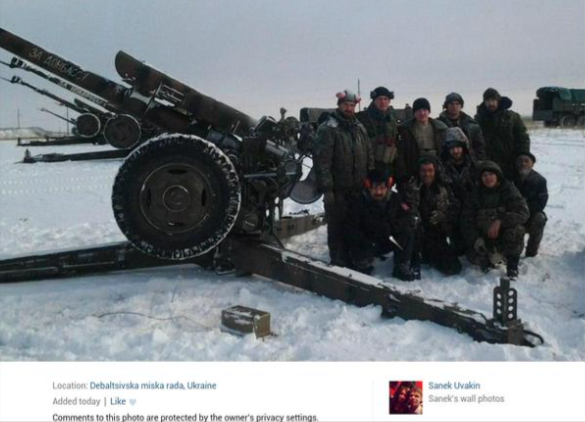 Another attempt by Russian-terrorist forces to assault Debaltseve ended in failure. In particular, the command of the Russian-terrorist troop formations stationed near Horlivka (the ‘Horlivka garrison’ of terrorists), received a command from the ‘DNR Command’ [Donetsk People’s Republic] to allocate a part of the forces and means to one of the strike groups that previously advanced through Vuhlehirsk (bypassing it northward, operating from the environs of Horlivka) to attack Debaltseve. The ‘Horlivka garrison’ allocated an armored group (up to 15 armored vehicles, including 7 tanks), part of which (at least 3 tanks and 2 ACV) was immediately destroyed in an attack on a Ukrainian troop checkpoint. 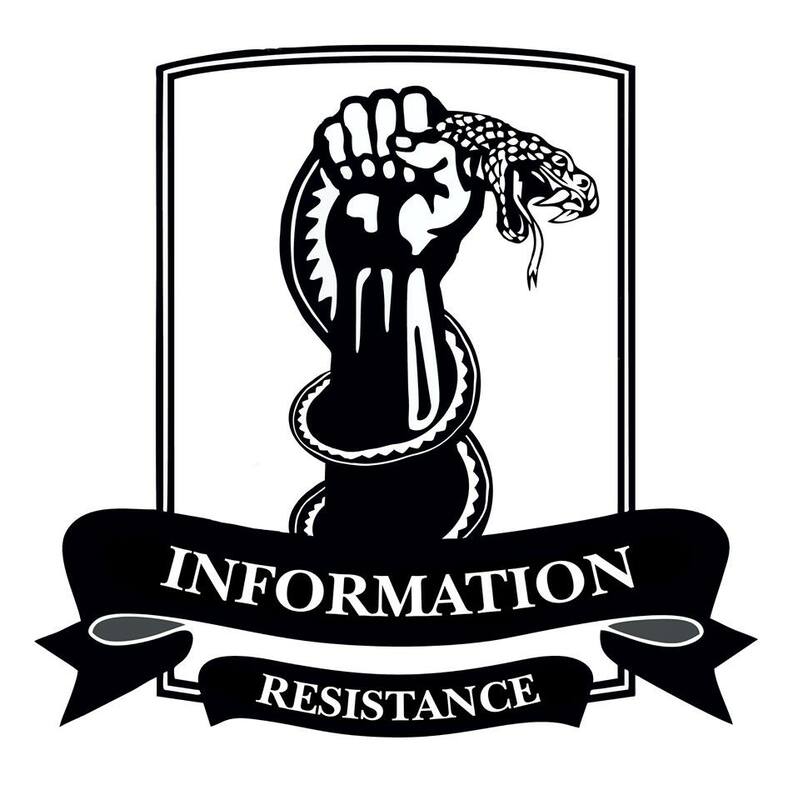 Another enemy group (the vanguard broke through into Vuhlehirsk with a terrorist tactical group) in the vicinity of the road towards Debaltseve, was covered by Ukrainian artillery, losing another 2 tanks, 2 armored fighting vehicles, and at least 3 trucks. As a result, the enemy ceased its offensive against Debaltseve and began to retreat from Vuhlehirsk, leaving lined equipment. Over the past weekend (01.31.–02.01) in the vicinity of the Debaltseve springboard, Russian-terrorist forces were trying to increase the density of their tactical units, conducting active hostilities, and massing forces and means toward certain directions. In addition, in the Vuhlehirsk direction, their attempt at separation in order to create a tactical reserve entry ‘into the breach’ was noted. A transfer was observed, through Makiivka and Yenakiyeve, as well as Alchevsk and Stakhanov, of reinforcements for enemy forces leading the fighting in the area of Debaltseve, to restore their combat capability after the losses incurred during previous attempts to surround the groupings of Ukrainian troops in the bridgehead. Just in the past day, the terrorists transferred, into the given area, about 55 armored vehicles (35 units: through Makiivka and Yenakiyevo, 20: In Alchevsk). The redeployment of manpower (mainly covered trucks, but also partly on armored) was also noted. The total transferred was more than 1200 people. Also observed was the continuation of the engineering works carried out by the enemy in certain areas to the north of the Yasynuvata interchange and north of Panteleimonivka, and attempts to occupy advantageous brinks and positions (hubs and interchanges, heights, intersections and overpasses). Also, the enemy is trying to gain a foothold along the Horlivka – Donetsk route in order to cover the rear and left flank of its group concentrated for action in the area of Debaltseve. 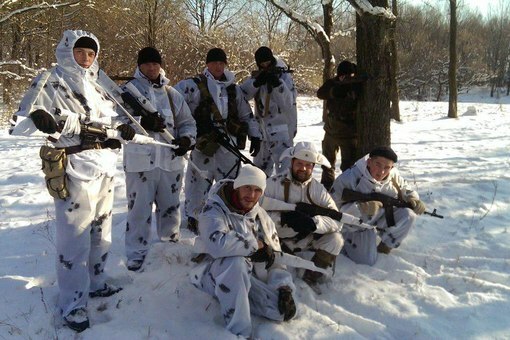 In the Kuibyshivskyi, Kyivskyi and Petrovskyi districts [of Donetsk] the Donetsk command of the Russian-terrorist forces carries out a regrouping of their forces, seeking also to select some of the forces into a tactical reserve. The resupply of weapons, military equipment and manpower is ‘in the planning mode’ so far, but has the tendency to prolong in connection with the events around Debaltseve. In Donetsk, as a result of the explosions, there was a fire at the ‘Donetskgirmash’ PAT plant (part of [oligarch] Rinat Akhmetov’s holding: “System Capital Management”). On the site of this enterprise, an ‘advanced armor repair shop’ of the Russian-terrorist troops is located, as well as a staging depot for ammunition for the provision of terrorist groups operating in the region of Donetsk. 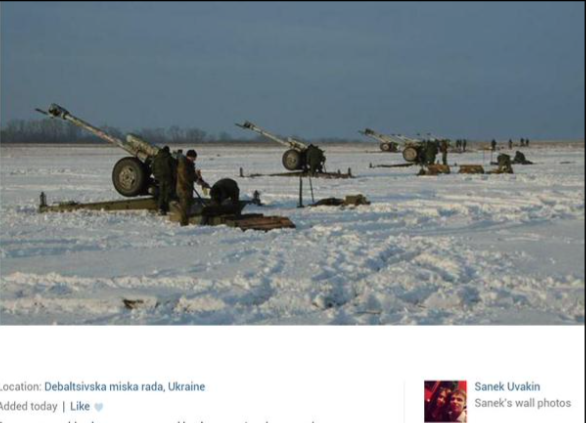 This entry was posted in Dmitry Tymchuk, English, English News, South&Eastern Ukraine, War in Donbas and tagged #RussiaInvadedUkraine, #StopRussian Aggression, #UkraineUnderAttack, Dmitry Tymchuk, Information Resistance, Ukraine. Bookmark the permalink.